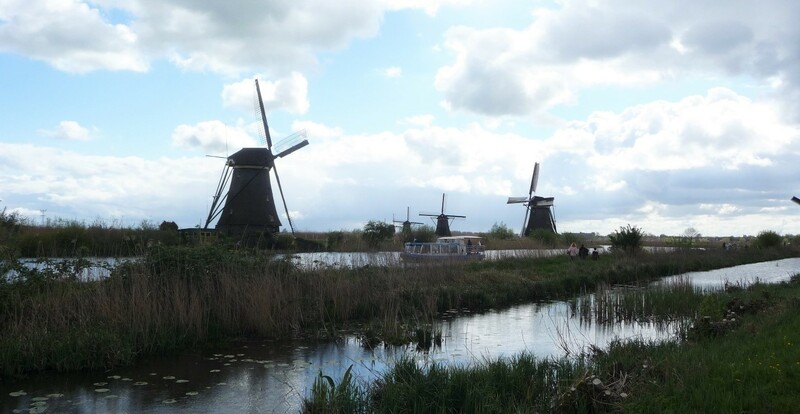 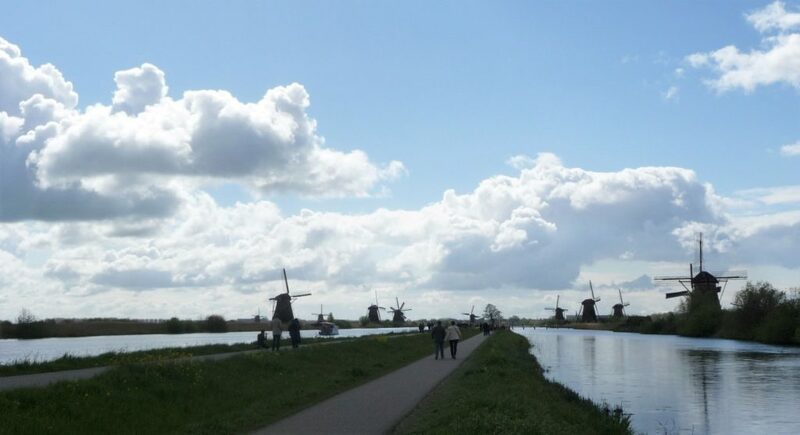 One day was spent at Kinderdijk, seeing the beautiful windmills while walking the length of the canals. 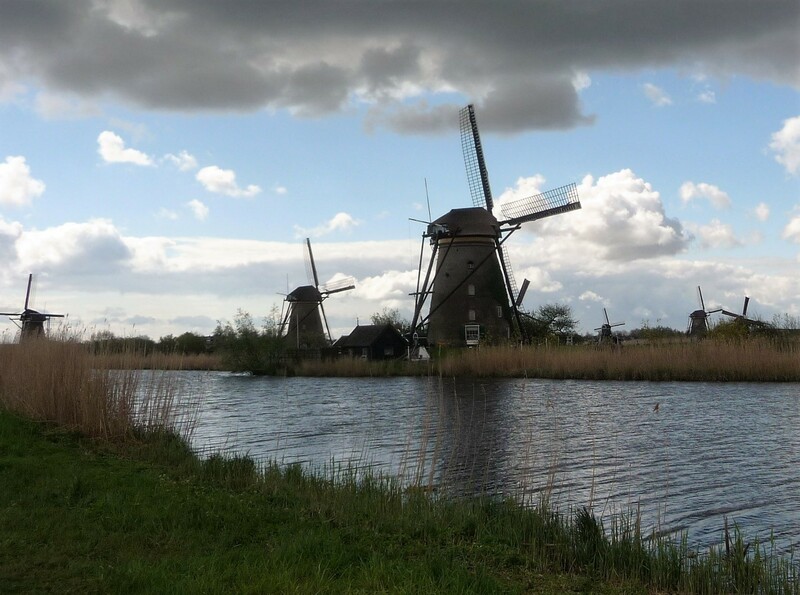 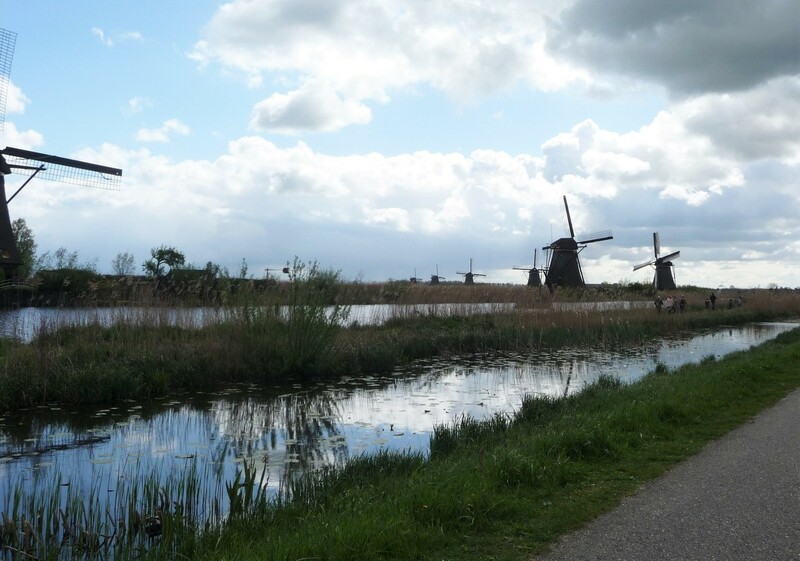 Twenty-three kilometers east of Rotterdam on the River Noord is the village of Kinderdijk (translated – the “children’s dyke”). 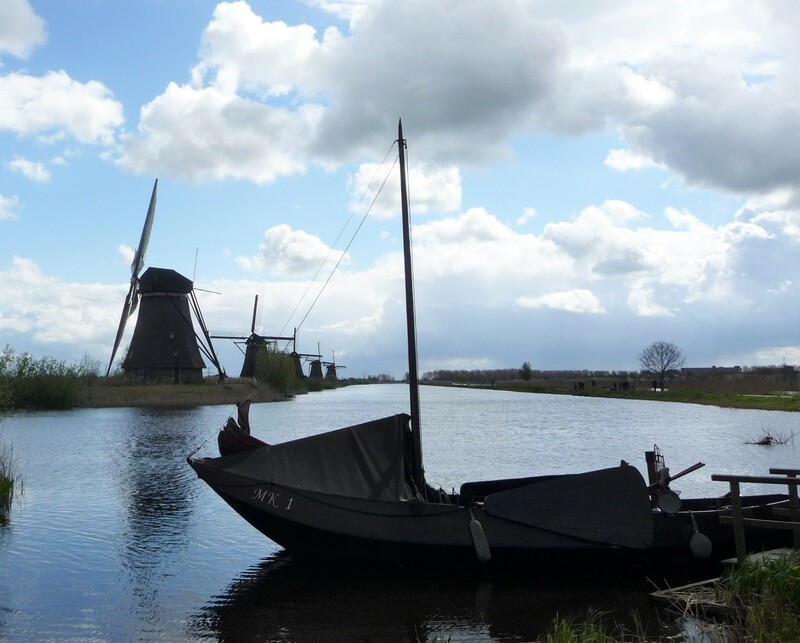 Kinderdijk took its name from a local legend of a cradle being stranded nearby during the St. Elizabeth’s Day flood of 1421. 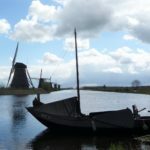 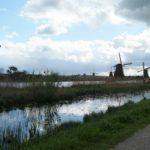 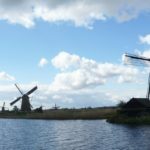 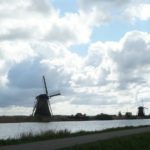 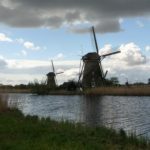 These days it is one of the most-visited, and photographed, area in the Netherlands due to the nineteen 18th century windmills (build between 1722-1761), designed as water pumps, that still dot the landscape. 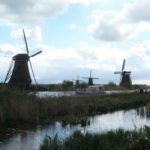 They are all designated as a UNESCO World Heritage Site and are the largest surviving concentration of windmills in the country). 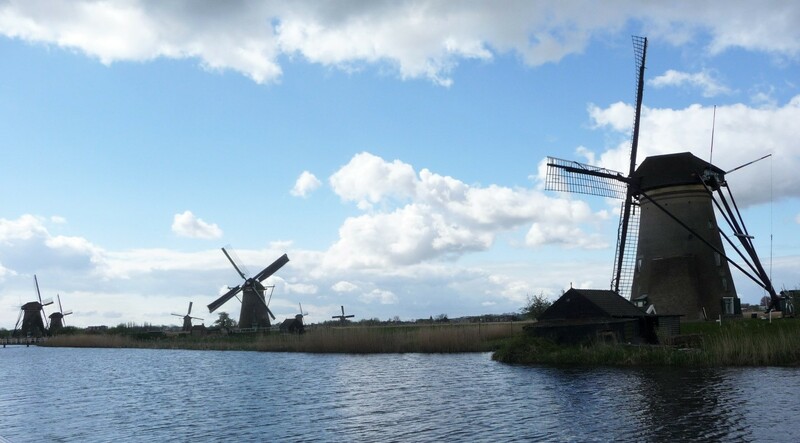 The windmills are celebrated during “Mill Days” when the sails are set in motion.